We’ve been basking in a brilliant spell of early summer weather and, if forecasts can be believed, should look forward to even more! 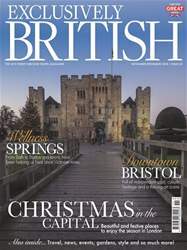 In this issue, we showcase the best hospitality that Britain can offer, whether you are visiting from overseas or simply enjoying a ‘staycation’, and offer a unique picture of some facets of UK life, some of which may surprise you. Our popular ‘Made in Britain’ article features the revival of the British watchmaking industry, we take a peek inside the secretive world of members-only clubland and we are proud to introduce opportunities to celebrate the centenary of our Royal Air Force. 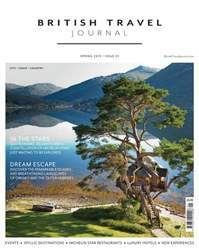 The wide range of British hotels is amply illustrated, from historic/heritage destinations in medieval castles and grand country houses, charming towns and fascinating cities and Victorian seaside pleasure-palaces to secret hideaways on some of the many glorious islands dotted around our shores. 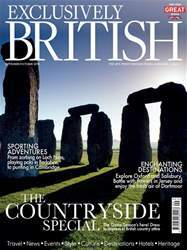 Our travel emporium and news section bring you the latest snippets of interest, we interview the man responsible for the culinary delights to be enjoyed on RY Britannia and we highlight hotels with distinct literary connections and some locations which have found fame on the big screen. 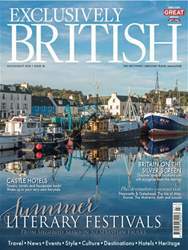 We turn our particular attention to the world-famous glories to be discovered in and around Dorset and the sensational range of travel attractions to be experienced on the Isle of Man. 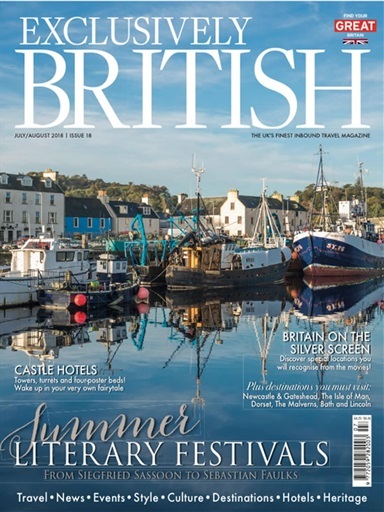 We have chosen the best from the explosion of literary festivals, all around UK and with our regular features on the latest shows and exhibitions, travel news, property and style trends, we hope you will be entertained!